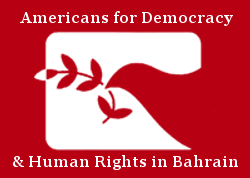 12 April 2019 – Today marks six months since Bahrain won a seat on the United Nations Human Rights Council (HRC) in a blank-slate election despite “flagrant, widespread, and systematic human rights abuses.” Since joining the HRC in October of 2018, Bahrain has continued to perpetrate human rights abuses against its people. These include suspending democratic freedoms, intimidating and torturing political figures and human rights defenders, and arbitrarily detaining and denationalizing its citizens. For a visual timeline of these events, click here. Bahrain’s acceptance as a member of the HRC has followed multiple expressions of concern by states of the Council, including five joint statements by member states at the UNHRC. In June 2012, 28 states expressed concern over the government’s repressive actions in February and March 2011. This concern was expressed four more times in the next several years. In February 2013, 44 states registered their concern, noting particularly “continued harassment and imprisonment of persons exercising their rights to freedom of opinion and expression, including of human rights defenders.” In September 2013, 47 members of the UNHRC expressed “serious concern” over Bahrain’s “ongoing violation” of “the right to free assembly and association,” and its “imprisonment of persons exercising their rights to freedom of opinion and expression, including of human rights defenders…revocation of nationality without due process,” and a lack of accountability for officials that violate human rights. This concern was once again echoed in a statement signed by 47 states and released in June 2014 that noted especially “increases in long sentences for exercising rights to freedom of peaceful assembly and of association and the lack of sufficient guarantees of fair trial.” In 2015, 33 states issued a fifth statement, condemning Bahrain’s lack of progress on human rights issues. The concerns expressed by states in the HRC align with many of the issues raised by the Bahrain Independent Commission of Inquiry (BICI) in 2011. The BICI was established to recommend governmental reforms following uprisings that occurred throughout Bahrain in 2011. It returned twenty-six recommendations that focused on increasing governmental transparency, combatting corruption, addressing systemic human rights abuses, and holding officials accountable. Despite the recommendation of an independent commission, Bahrain has failed to fully implement these recommendations. In its 2015 report, Americans for Democracy and Human Rights in Bahrain (ADHRB) found that only two of the twenty-six recommendations had been implemented, and in some cases, conditions on the ground in Bahrain have actually worsened. Furthermore, Bahrain has recently reversed the two recommendations that it had previously fulfilled, re-empowering the military courts to try civilians, and the National Security Agency (the secret police force). Yet despite all of these violations, Bahrain was able to gain a seat on the Human Rights Council, all while continuing to violate the human rights of its citizens. Since taking a seat on the Council, rather than reforming its human rights record, Bahrain’s government has increasingly acted with impunity, stepping up its human rights violations have increased. Less than one month after its election to the Council, and only two weeks ahead of its parliamentary elections, on 4 November 2018, a Bahraini court overturned the acquittal of prominent Shia cleric Sheikh Ali Salman, sentencing him to life in prison on spurious, politically motivated espionage charges. Sheikh Salman was a major figure in the opposition movement, and actively participated in pro-democracy demonstrations throughout the 1990s until his arrest in 2015. Now, he will spend the rest of his life in a Bahraini jail. The Bahraini government’s suppression of dissent is part of a larger effort to silence criticism that has rippled into all parts of Bahraini society. In 2016, the Bahraini government dissolved Al-Wefaq, the largest opposition political society in Bahrain, of which Sheikh Salman is the Secretary General. Then in February 2019, the government finalized its earlier decision to dissolve Wa’ad, a major secular opposition society. By eliminating these major opposition societies, Bahrain’s rulers have placed power firmly in their hands rather than in the hands of ordinary citizens. Another significant human rights violation has been Bahrain’s intentional creation of stateless persons through revoking citizenship as punishment for spurious political charges. For example, on 31 February 2019, Bahraini officials denationalized Zakiya AlBarboori after imprisoning her on suspicion of terrorism, further subjecting her to six days of ‘intensive’ interrogation. Denationalization is among the concerns listed in the ADHRB’s 2015 report, and the fact that it continues unabated as a method to crush political dissent in Bahrain demonstrates a lack of concern for citizens’ human rights that is unbecoming of a member of the Human Rights Council. Since 2011, Bahrain has revoked the nationality of 850 Bahraini citizens, many of whom are now stateless. In addition to cracking down on free expression, Bahrain has also expanded the ranks of its security forces, making it one of the most heavily policed countries in the world. In our most recent report, ADHRB uncovered how Bahrain’s Ministry of the Interior (MOI) maintains 46 officers for every 1000 civilians – double the concentration of officers than at the height of Saddam Hussein’s Iraq. This massive concentration of police officers has resulted in one in every 635 Bahrainis being arbitrarily detained. A state that relies on over-policing and arbitrary detention in order to silence dissent does not deserve a seat on the UN Human Rights Council. Police officers use their numbers, power, and aggressive and violent tactics to continue to crush civil dissent. These include using tear gas, beatings, mass arrests, and birdshot to maim and even kill protesters. Police have also launched deadly raids against protesters, often disguised and wearing masks. Despite this, no police officers have been held accountable for these lethal raids, and furthermore, there is a disturbing correlation between officer aggression and rapid promotion. This is exemplified in the case of Mubarak bin Huwail, a security officer in charge of Jau Prison. He was promoted in 2014 despite overseeing torture and the eventual death of a several inmates. Under Huwail’s direction, one prisoner was severely beaten, his jaw broken, and his kidneys ruptured, resulting in his death. Even when an investigatory commission followed up on the reports of the incidence, no officer was found guilty of wrongdoing. Police impunity, state sanctioned violence against dissidents, and restrictions on political dissent serve to prevent the population from expressing its views on the government. This sense of impunity was demonstrated by a major police assault on peaceful demonstrators inDurazwhere masked members of the security forces, including the National Security Agency launched an attack against the village, killing 5 demonstrators. Following this event, the UN sent a communication to the Bahraini government. However, no member of the security forces has been held accountable. The impunity granted to security forces by the Bahraini government allows them to abuse civilians’ civil liberties and human rights without concern for prosecution or accountability. Such a government should not have a seat on the UN Human Rights Council, a body which purports to be able to address concerning situations of human rights around the world with objectivity and impartiality. But Bahrain has demonstrated through its continued violations of human rights following its election to membership on the council that it is not only unwilling to implement the necessary reforms to provide its people with the standards the international community demands but to address systematic violations of human rights. The six month anniversary of Bahrain’s membership to the UNHRC is therefore not a time for celebration, but for reflection, evaluation, and action to hold the government accountable to its citizens.